Charles Poor was “an active and popular member of the company from its organization,” and was voted the unit’s Second Lieutenant.Poor was the second son of William Poor, one of Andover’s most ardent abolitionists. William Poor owned a flourishing wagon factory, and were said to sometime build wagons with false bottoms in order to secretly transport slaves along the Underground Railroad. 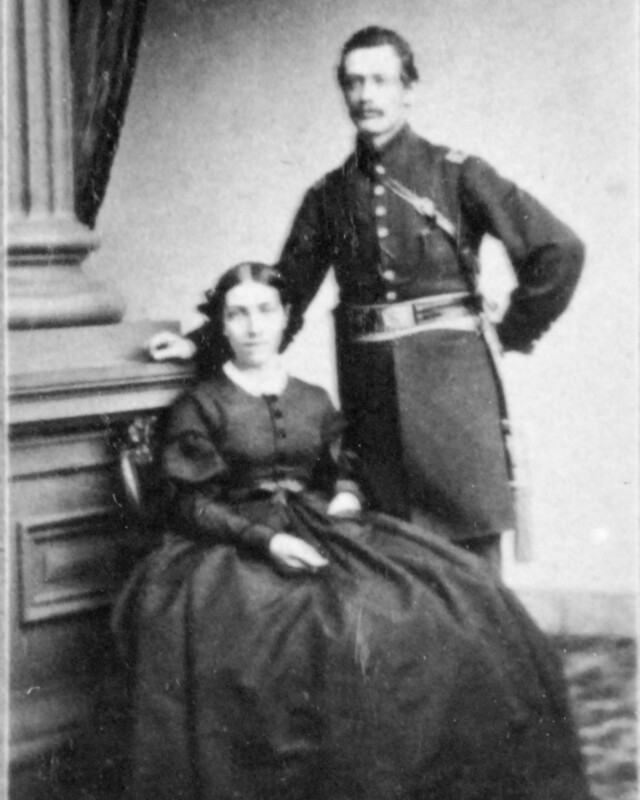 After the war, Charles and Rebecca welcomed daughter Blanche in 1868. Charles worked in the wagon shop as a “painter” and a “carriage trimmer”, although he was weakened by bouts of malarial symptoms for the rest of his life. The couple lived together in North Andover and celebrated their Gold Wedding Anniversary on October 16, 1908.